Dispatchers & Traffic Managers are burdened every day with the daunting task of keeping their trucks moving and making revenue for their bottom line. Carrier Set up: We know your time is valuable and we make it easy to do business for our carriers. Once you have completed our carrier packet and provided your insurance and authority most carriers can be set up and approved in as little as fifteen minutes. Superior Credit Rating: ST has worked hard to maintain an excellent credit rating and we can give you several carrier references. You can be rest assured when you do business with ST. Normal payment terms are 14 days from receipt of invoice unless you have elected a quick pay option. Signed Load Confirmations: To protect both ST and our carriers, you will receive via fax or email a load confirmation sheet showing all the details and requirements of your shipment. All load confirmations must be signed and returned prior to truck dispatch. Quick Pay: When we receive a clean BOL that we can bill from, we will pay with a company check (normal US mail) within 24 hours of receiving the bills for a 5% discount off the carriers total invoice. Carrier Advances: Once a truck is loaded, the driver simply faxes a copy of the bill of lading confirming load pickup. ST will then contact the carrier for authorization. Advances are only issued during normal office hours. A fee of 5% of the amount advanced is assessed to all advances. Download Carrier Packet (PDF) Note: this PDF contains interactive forms that can be filled out on your computer or device. If you’re unable to interact with the forms in this PDF, please download and save it and open it with an appropriate program such as Adobe Reader. Transportation and Traffic Managers are burdened every day with the daunting task of balancing, meeting their customers deadlines and moving their product economically. ST understands this delicate balance and we strive every day to provide not only exceptional services, but offer cost savings solutions as well. Quick Set up & Credit Approval: We know your time is valuable and we make it easy to do business for our customers. You won’t spend hours filling out paperwork. We just need some basic information, a bank reference and a couple of trade references. Most customers can be set up and approved in as little as fifteen minutes. Pricing Options: We work with all types of customers and we know your needs are unique. We offer contract pricing, spot rates, or annual bid pricing. Flexibility: Since we work daily with thousands of prescreened, top quality carriers, we can offer you equipment availability options that cannot be matched by our asset only based competitors. 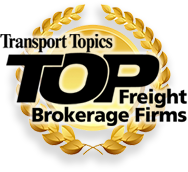 We can always give you an option for your freight transportation needs. Online Load Tracking: Today’s ever evolving technology allows us to offer our customers online account management and load tracking. You can login from any Internet connection and check the current status on your loads as well as view and print invoices, statements and POD’s. 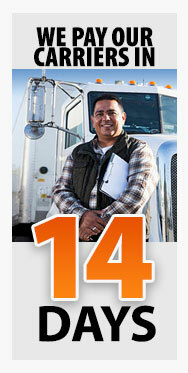 Loyalty: ST focuses on year round relationships with both our customers and carriers. When produce seasons arrive many trucking companies “chase” the dollars leaving their customers with little or no capacity. ST has always made it a priority to service all of our customers on a year round basis and we never leave you high and dry so we can make an extra buck. We treat our customers like family and are proud of the long lasting relationships we have cultivated with our customers.